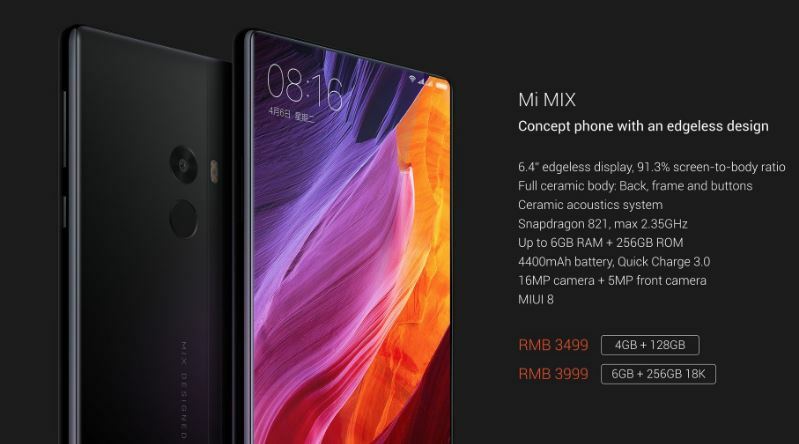 Xiaomi has announced Mi Mix a concept edgeless design phone. 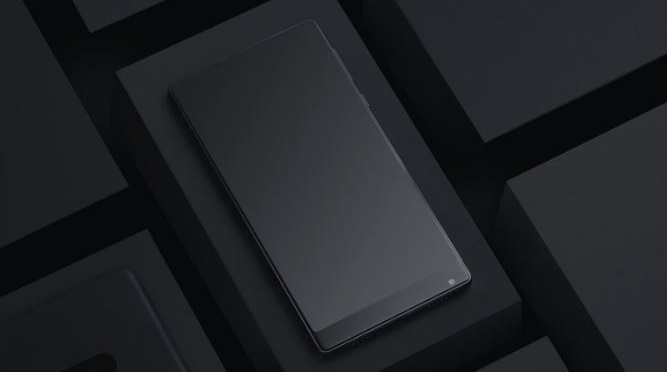 The Xiaomi Mi Mix is new a borderless Android phone with 91.3 percent screen-to-body ratio. French designer Philippe Starck has designed this concept phone. The phone is coming on November 4th with a price tag of ¥3,499 ($516). Xiaomi Mi Mix probably has every possible high-end hardware. The rear of this handset and its side buttons are both made out of ceramic. 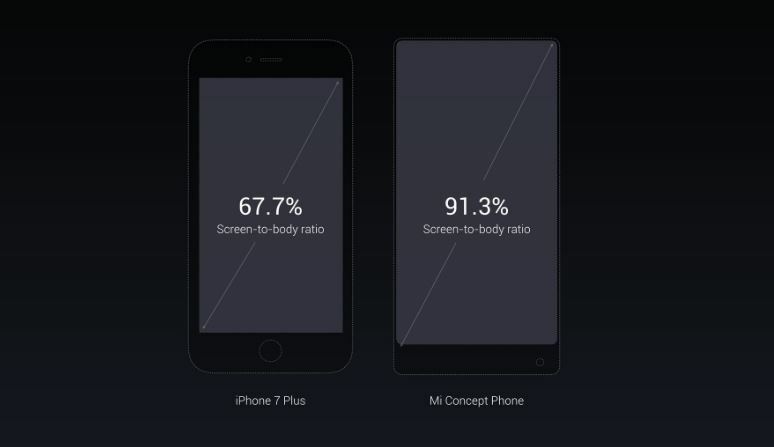 The 6.4-inch display is curved at the corners and there are no top-mounted sensors. The proximity sensor has been replaced by ultrasound. The piezoelectric speaker that uses the metal frame to generate sound replaced the earpiece. The front-facing camera is relocated to the bottom, you can rotate it upside down for more selfies. The Mi Mix is powered by Snapdragon 821, 4GB of RAM and 128GB of storage. The Mi Mix phone supports two SIMs. Xiaomi’s concept phone also has a 192Hz / 24-bit DAC chip for higher-resolution audio. The rear camera comes in at 16 megapixels with phase-detect autofocus and more. The headphone jack is there. The 4,400mah battery gives power to the phone. There is also the option of 18-karat gold accents around the camera and fingerprint sensor on the rear with 6GB of RAM, 256GB of storage, it will cost you ¥3,999 ($590). The company also announced Mi Note 2 today.